Gurukula Reunion, Culver City, California, 1998. The Children of ISKCON: Who Are They? This website traces the history of child abuse in the International Society for Krishna Consciousness (ISKCON), also known as the Hare Krishna movement. Gurukula, Sanskrit for the "school of the guru," is the area within ISKCON where most of the child abuse took place. The schools were extremely abusive on all levels: emotional, physical and sexual, and the children's basic needs were severely neglected. I am an exmember of ISKCON and author of the book, Betrayal of the Spirit (University of Illinois Press, 1997). After my book came out I spent four years researching the history of child abuse in ISKCON. 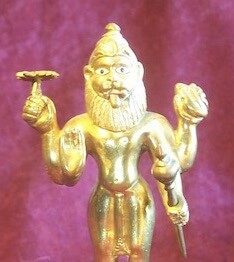 ISKCON perpetrators played the role of demons in the Hindu scriptures. Hiranyakashipu victimized his son Prahlada, then sent him away to be tortured in a demonic boarding school; Kamsa killed seven of Vasudeva and Devaki's children as soon as they were born. When the eighth child Krishna appeared, Vasudeva had to smuggle him out to the countryside to protect his life. The Gurukula Timeline offers significant dates in ISKCON history, including the opening and closing dates of schools. 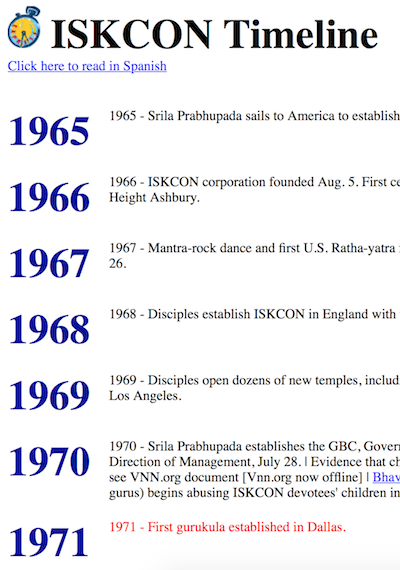 The timeline begins in 1965, when Srila Prabahupada came to America, and ends in 1999. In 2000, plaintiffs filed the lawsuit, Children of ISKCON vs. ISKCON. Therefore, the years 2000 on are covered in the Lawsuit Timeline. The largest area of this site is the collection of mainstream media articles on the subject of child abuse in the ISKCON Gurukula. Many of the articles are linked or posted. 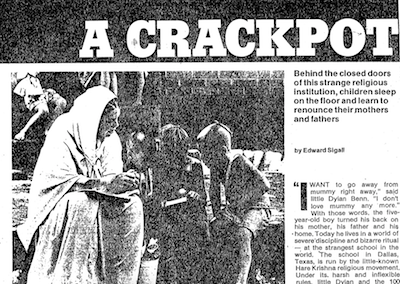 This memoir broke down the wall of silence around child abuse in ISKCON. When Raghunatha wrote Children of the Ashrama and sent it to the GBC and other ISKCON leadership, it changed everything. The whole picture came into view, and people were horrified. The perpetrators and ISKCON had done much to cover things up for years, but all it took was one survivor to write a twenty-five page account of his experiences, and the truth was out. 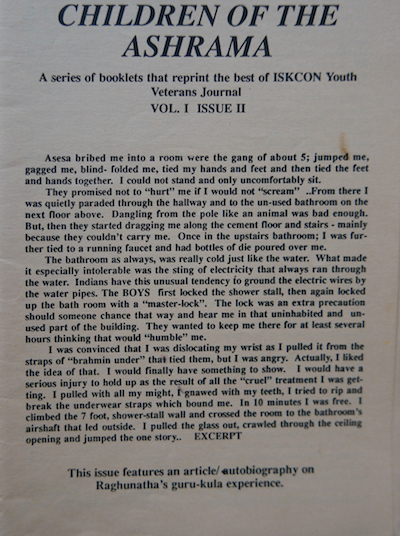 Raghunatha published Children of the Ashrama in his ISKCON Youth Veteran's Journal. 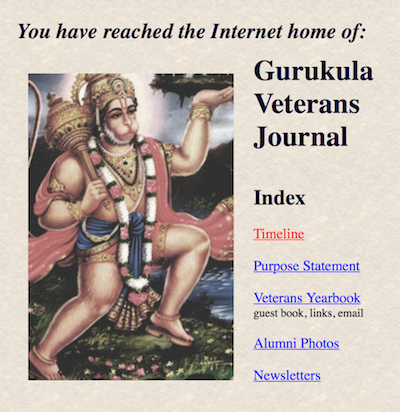 There's also a website - now at Surrealist.org - for the Gurukula Veterans Journal. 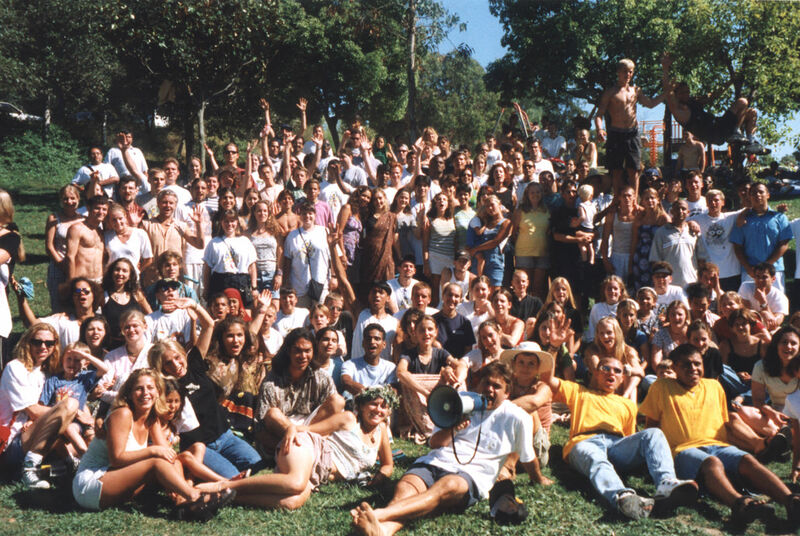 Raghunatha helped organize reunions for gurukula alumni throughout the 1990s in Los Angeles and other cities. The Journal features photos from those days. I just checked out the timeline and the scope of the Vets entire site. * You have been working very very hard I see. It looks like what I consider to be the absolute most important work that you have accomplished in this lifetime. I can't imagine anything else that you have done that holds a candle. Congrads. 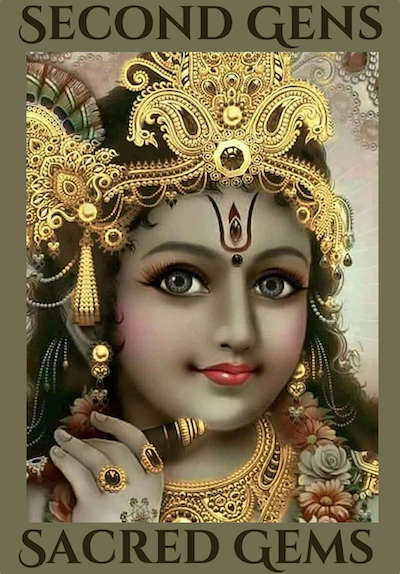 by Dr. E. Burke Rochford, Jr.
Click here to read Child Abuse in the Hare Krishna Movement, by Burke Rochford. Index of child all abuse recovery information available through this site. 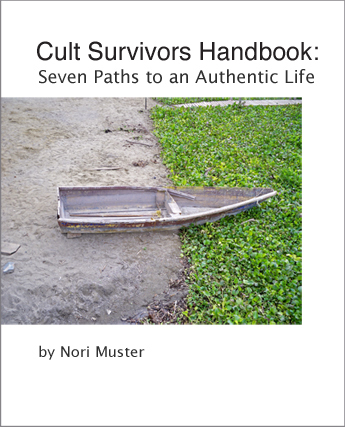 Index of all cult information at this site.